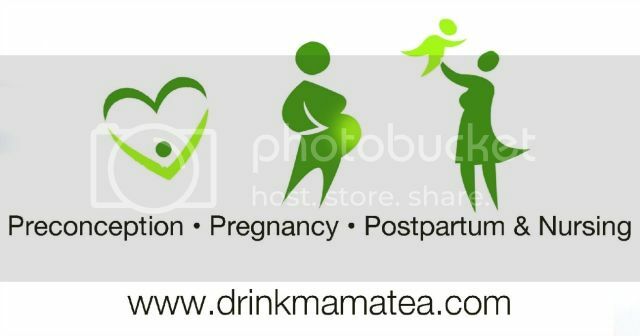 mamatea covers all phases of becoming a mama… from trying to conceive to nursing… with safe, all-natural, and beneficial ingredients. The company was started when Kim, the founder, wanted these effective tea ingredients and couldn’t find them in anything that actually tasted good! I can totally relate–I’m not generally a tea drinker, but wanted the benefits, too! For mamas trying to conceive, this tea is a sweet blend of chamomile and orange with red raspberry leaf. It’s high in vitamins and minerals, helps to regulate menstrual cycles, promotes hormonal balance, tones the uterus muscles, and promotes a rich uterine lining and strong blood flow. Read more about the effects and benefits at mamatea. Congrats on your pregnancy! There’s so much information out there about what to eat (and NOT eat!) when pregnant, the vitamins and minerals you need, and how to stay healthy. This Pregnancy Tea is a red raspberry leaf tea with strawberry and citrus for a refreshingly fruit flavor. Red raspberry leaf has a high amount of all those essential nutrients you need… this tea helps to strengthen the uterus, is said to make delivery faster and easier, may reduce pain during labor, and reduces recovery time after delivery. Congrats on your pregnancy!!!….. and all that morning sickness that comes with it 😉 I always hated that term because I definitely felt ill all day long, not just in the morning! Luckily it passed during the second trimester. Need some help with your nausea? Try the Keep It Down Tea! It’s sweet with a hint of spice and is filled with deliciousness, including organic ginger. It’ll relieve nausea from morning sickness (or any upset stomach!) and may even help to relieve heartburn, Another dreaded pregnancy symptom! You can also use it to clear allergies or a cold… I love how these mama teas can be used for so much more! Yay, 10 new toes and 10 new fingers! With the end of pregnancy there will be a lot of changes… in addition to having a new little babe in your arms, your body will go through physical and hormonal changes. Don’t forget to take care of yourself! The New Mama Tea uses lady’s mantle, which has been used for centuries to heal damaged tissues, including perforated eardrums, hernias, and various prolapses. Use this immediately after delivery for healing and toning damaged tissue to restore and rejuvenate the body! It’s very aromatic with a sweet berry taste. Yay for breastfeeding! We all know I’m a fan 😉 If you feel you need to increase your milk supply, fenugreek tea is a popular method of choice. However, it tastes bad! mamatea solved that with rooibos (caffeine free tea) and fruit for a great fruity taste with a hint of tropical juice and more of a “traditional” tea flavor. This Nursing Mama Tea can increase milk supply, create a stronger let-down, and promote a healthy milk supply. There’s a NEW tea and you can have a sneak peek… it’s the Cycle-Ease Tea to combat those unwanted monthly cramps and bloating! Kristine (one of The Baby Ladies) got her sample and loves it! Check it out and how to get your 5-day sample here! All of the teas are caffeine free and all-natural. The best part?! 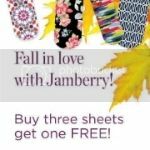 You can request a FREE SAMPLE! You just have to taste it for yourself and then you’ll fall in love 🙂 If you’re coming to the Save Babies Blogger Baby Shower, you’ll get some samples, too, and get to see and smell the teas in person. 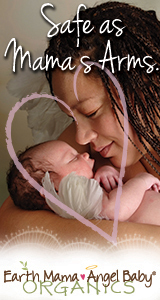 Oh, and those ADORABLE snail mail invites all the the attendees got (and shared online with #TBLBabyShower)? Made by mamatea! Make sure to find mamatea on facebook and twitter. 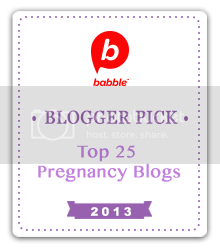 ~This post was written as part of a partnership with mamatea for the Blogger Baby Shower. All opinions are my own! « Save Babies Blogger Baby Shower: I Bundoo! Do You?